Welcome to the first Kaliakria Cup – Black Sea Regatta in Balchik. Balchik Regatta ), having the full support of the Bulgarian Sailing Federation, is organising the most important Black Sea Yachting Event in Bulgaria. Our aim is to organise an excellent event, with a growing prize fund, which in the coming years will attract a significant number of yachts and skippers from the entire Black Sea region alongside the Bulgarian yachts. The four day event will take place during the last week of May, in the port of Balchik (ancient Greek name Dionysopolis). For this edition of Kaliakria Cup, the participating yachts will be divided in three classes. The prize fund, provided by the Principle Partner, will be awarded to the three best skippers from each class. The first Kaliakria Cup – Black Sea Regatta, will be held from 29th of May to the 1st of June 2008 in Balchik. 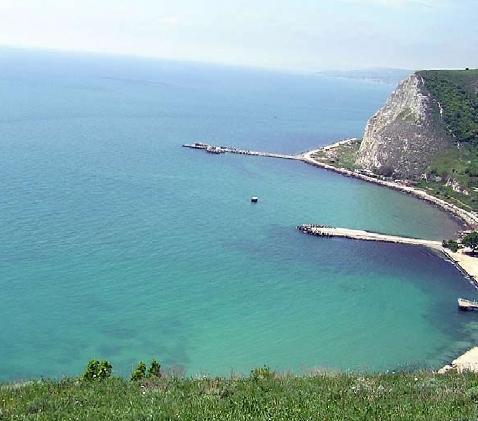 The Regatta will take place in the bay of Balchik, Cape Kaliakra and Kranevo. Organizer is Yacht Club Balchik, member of the Bulgarian Sailing Federation. The 2008 Kaliakria Cup – Black Sea Regatta, will be governed by rules defined in the Racing Rules of Sailing (2005-2008), the rules of the Bulgarian Sailing Federation for national sailing competitions and regattas, the class rules for the national class Conrad 25P (K25R), the Regatta Instructions and the present Notice of Race. 3.2 The Organisers will require competitors to display event sponsor advertising materials. These shall be affixed as prescribed in the Sailing instructions. The participation in 2008 Kaliakria Cup – Black Sea Regatta is free for all eligible yachts. The Organisers and the Sponsors are providing free berthing in Marina Balchik and hotel accommodation for skippers and crew at preferential rates. 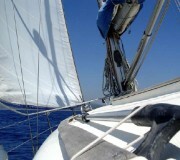 Applications for participation in the Regatta will be accepted by Yacht Club Balchik until 10th May 2008. The registration of the participants will take place on 29th and 30th May 2008. Sailing Instructions will be delivered to the competitors at the time of registration at the Race Office. Official languages are Bulgarian and English. The prize fund is provided to the Organisers by the Main Sponsor. Prizes will be awarded to the top three crews in each class. All competitors shall wear while afloat, personal flotation devices that are in good condition and are in accordance with the requirements of ISAF, BSF and the Bulgarian Navigation Authorities. competitors to have third party liability insurance. 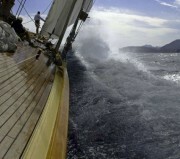 In participating, the competitors automatically grant to the Organising Authorities and the Sponsors the right in perpetuity to make, use and show, at time to time and at their discretion, any motion and still pictures and live, taped or film television and any other reproduction of the yachts and the crew without compensation. 10.1. All participants are competing at their risk and at their own responsibility. 10.2. The Event Organisers, as well as any private or legal entity, bound to the organising of the Regatta, will not be held responsible under any circumstances, for any personal damages, losses and cases of death of participants as well as losses and damages which may have occurred to their possessions and property, either on shore or at sea during the time of the Event to which this Notice applies. 10.3. 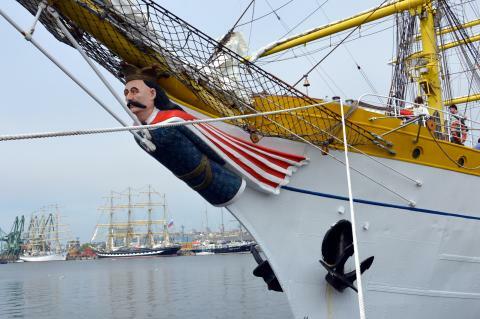 Each crew must ensure individual members insurance at own cost. The offices of 2008 Kaliakria Cup – Black Sea Regatta will be situated in “Marina City”, Marina Balchik and during the race, onboard the start vessel of the Regatta Commission. Kaliakria Cup – Black Sea Regatta sets even higher goals. The club, in its role of Organiser of the Regatta, together with the Principal Partner – Linexa Property, have the ambition to turn the Kaliakria Cup Regatta into an international annual event and to build it up to the most important keelboat sailing competition in the Black Sea Aquatorium. or contact the Race office. Balchik is a small beautiful seaside town, which combines the romance of its steep streets with the beauty of the sea. For a long time it has been known as the White Town for the mainly white colour of its lime rocks. 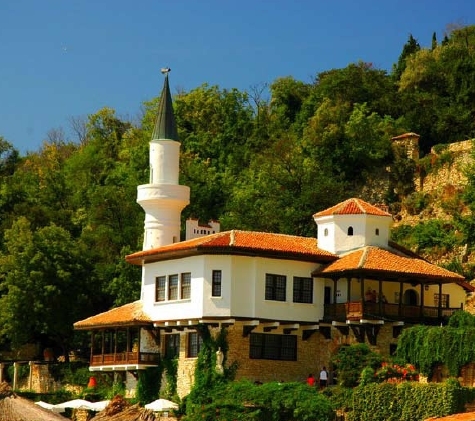 Balchik has a 21 centuries history and has preserved traces of many cultures. Today, the Balchik Palace and the adjacent Botanical Garden are the town’s most popular landmarks. The gardens are the “residence” of 3 000 or so plant species and thus Europe’s second most important collection. The Leisure Marina, with a marvellous pedestrian promenade is buzzing with life in the warm summer evenings. The old fishing and merchant harbor of Balchik is being transformed into a modern Leisure Boat Marina. In 2007 four floating berthing extensions with berths for 72 vessels were built. The largest yacht, which can be accommodated, is up to 15m in length. By mid summer 2008 all 72 berths will be equipped with water and electricity. With the planned future extension to the West, the Marina will have 200 berths, all equipped with electricity, water supply, satellite TV and internet. The Marina Office, the Yacht Club building and a Helipad are also planned. Kavarna was founded in the 5th century BC by Greek colonists who settled on the plateau in the colony Byzone. Today, together with the traditional agriculture, tourism has become an important part of the local economy. With a yacht port, a fishing base, a spacious beach, three 18-hole golf courses with residential developments and marinas being developed nearby, Kavarna is set to become one of the most attractive destinations long the Bulgarian Black Sea coast. Over recent years, Kavarna has also become “the Rock-n-Roll” capital of Bulgaria. With a number of legendary rock groups and musicians, the concerts in Kavarna attract locals and tourist alike. One of the most beautiful and picturesque places along the Bulgarian North Seaside is definitely Cape Kaliakra. The iron oxide composition of the rocks gives red colour to the cape, which is usually compared to a fiery sword, cutting the blue-green sea waters. Except for abundant history, the beautiful region treasures unique nature as well. 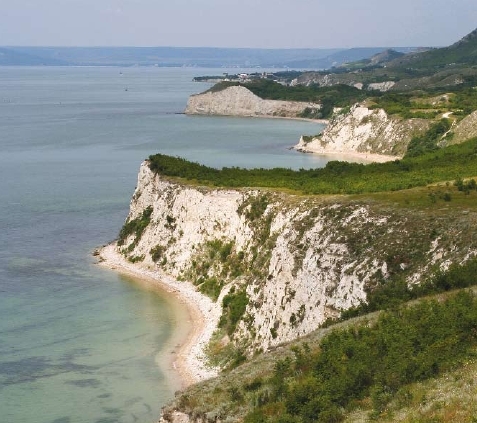 “Kaliakra” Nature Preserve spreads on 688 000 square meters. The park is home of starlings, blackbirds and cormorants. Linexa Property Group, the developer of “Kaliakria” project, is a property, investment and real estate group of companies that specializes in residential, leisure and lifestyle related developments in Bulgaria. The aim of the group is to create sustainable projects, enhancing the investment opportunities, while respecting essential architectural, social, cultural and ecological aspects of the sites and areas of operation. Kalikaria is situated 8 km north of Balchik. Designed by Gustavo Kloster, a Spanish architect well known for his luxury villas in Costa del Sol, it combines the proven concept from the Mediterranean Sea coast with the local Bulgarian architectural style. 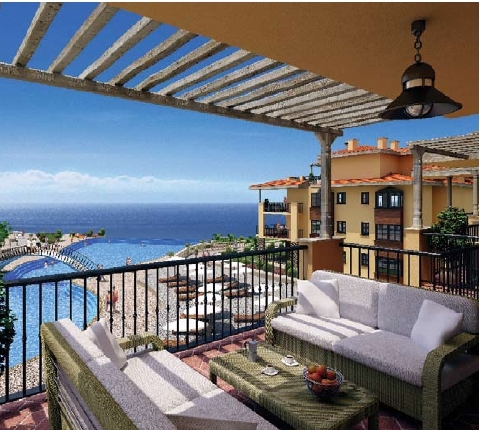 The apartments are very spacious, with generous terraces, overlooking a golf course and the sea beyond, with luxury bathrooms, underfloor heating, fully fitted kitchens with built-in appliances, natural stone floors, fireplaces as well as air conditioning as a standard. Kaliakria also features infinity swimming pools, pool bars, a lush garden, reception and an extensive property management and rental service. Within its perimeter there are also plans for a small shopping area with a bistrot, a restaurant, cafeteria, grocery store and fitness centre and a small 60 seat conference facility. The first phase, which was completed in August 2007, is almost entirely sold out.